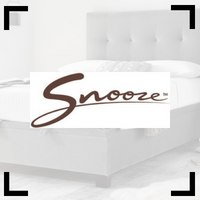 Snooze has been giving Australians a better night's sleep for more than 30 years - and with more than 70 franchises Australia wide it has most bedrooms covered. Everyone sleeps differently, and Snooze takes the guesswork out from under you. Shop from leading Australian brands such as Sealy, Slumberland and Madison. Buy Now, Pay Later. The Madison Palace is slightly firmer than the Madison Empire. Outstanding build quality and has a nice combination of spinal support and comfort. The SleepTailor® Luxe is a very nicely made mattress that comes in firm, medium, and plush versions. A very well built mattress. The SleepTailor® Bespoke comes in a firm, medium, and plush version which all have a nice mix of comfort and spinal support, depending on your preference. The SleepTailor® Craftsman is a nicely made mattress that comes in firm, medium, and plush versions. You can select a specific version for each side. The Slumberland Devon feels solid and well built. It’s on the firmer side of the scale but should be comfortable enough for many. Excellent spinal support. The Slumberland Cornwall is a very good mattress. A firmer feel with excellent spinal support. Partner disturbance won’t be an issue either. The Technogel Sereno has a top layer that feels really nice to lie on. It supports the body well and still offers nice pressure relief through the hips and shoulders. The Technogel Armonia feels firm and dense. The top layer is has quite a unique ‘tight’ and spongy feel to it which provides good spinal support.